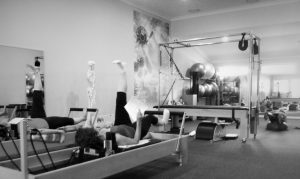 Re:Align Pilates is a boutique Pilates studio situated opposite the stunning Victory Memorial Gardens at 40 Morrow Street in the heart of Wagga Wagga. It offers Studio and Mat pilates tuition focusing on rehabilitation and retaining good health and fitness. Mat Pilates – 7 classes. Please check the timetable and book into a class that suits you and your level of ability. Pilates and Stretch Monday and Wednesday at 6pm-7pm. It will be a combination of beginner Pilates exercises focusing on core strengthening and muscle activation with additional fascial releases of the whole body. You will finish feeling stronger but more flexible. Sound amazing? Book in to give it a try!! Dea is qualified in Buff Bones. This is a medically endorsed, full body workout for bone strengthening and balance. It integrates Pilates, strength training, functional movement and rehabilitative exercise to improve the health and longevity of your bones and joints. It’s adaptable to varying levels and is safe for those with osteoporosis. Classes are held at Re:Align Pilates on Wednesdays at 10am. GIFT VOUCHERS now AVAILABLE- purchase one for that special family member or friend and help to pass on the fabulous benefits of Pilates.